Eucalyptus essential oil is colorless and has a distinctly clean, fresh, menthol aroma, which is startlingly refreshing and fragrant at the same time. It is often used to support the respiratory system and to soothe muscles after exercise. Respiratory problems like sore throat, asthma, viral infections, Antifungal. Stimulates brain, reduces stress & tiredness. Heals all types of burned skin. This natural essential oil can be used to get long and healthy hair. It can help to get rid of dandruff, which in turn can help to promote healthy growth of hair. A Eucalyptus oil aromatherapy massage stimulates the brain, reduces stress & tiredness and makes you healthy and energetic. Eucalyptus Essential oil can provide considerable relief in cough, nasal congestion, asthma, bronchitis and other respiratory problems. It also provides relief from flu and fever. 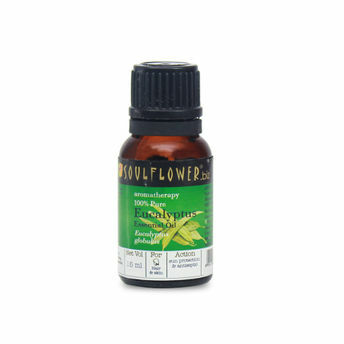 Being Anti-inflammatory, this natural oil provides relief from burns, bruises, sunburns and other skin inflammations by calming and soothing it. 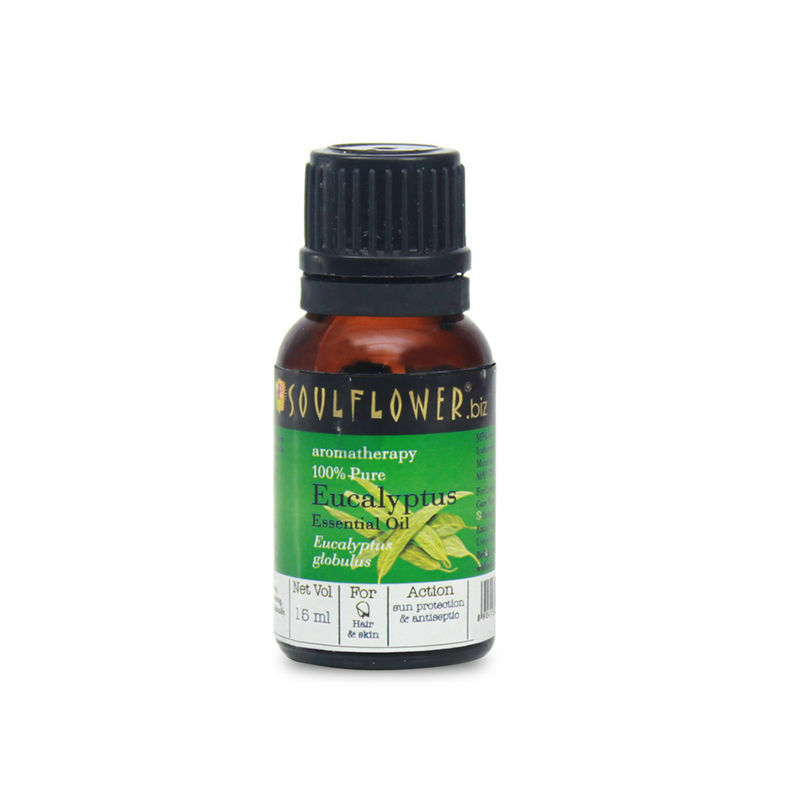 This oil also has insect repellent and pesticide qualities, for which it is used as a bug repellent and to kill dust mites. It can help to get relief from muscle pain and stiffness due to its anti-inflammatory properties, while its antiseptic properties makes it an effective oil for healing wounds, minor cuts, burns and skin infections.